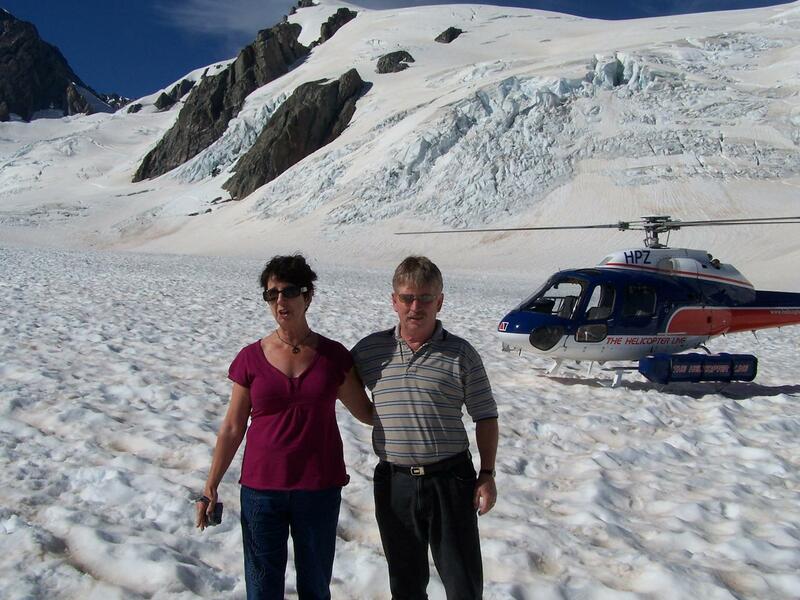 Head to the nearby Fox Glacier Helicopter Base to begin your tour. Take a seat in your helicopter and, as the powerful blades begin to whir noisily outside, strap in and brace yourself for the trip of a lifetime! The Franz Josef and Fox Glaciers are considered by many visitors to offer some of New Zealand’s most spectacular scenery. Pristine ice fields, plunging crevasses and frozen icefalls lead from the glaciers’ towering peaks down to the valley beneath, and the scenery is truly breathtaking. Take in panoramic views from your vantage point in the sky and listen as your professional pilot delivers informative commentary en route. The glaciers are the result of millions of years of tectonic plate movement, and their majesty and scale can only be truly appreciated from the air. After a short flight, touch down at the head of either the Franz Josef Glacier or the Fox Glacier and enjoy a little time to admire the landscape up close. Pose for photographs, capture the mountain scenery on camera and take in beautiful views out over the icy terrain to the lower valley beyond. 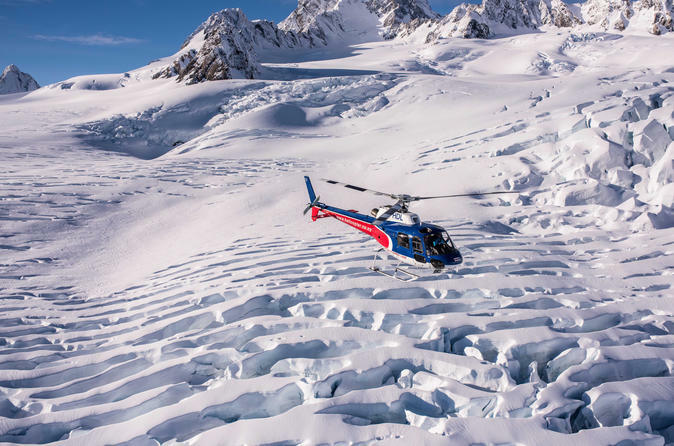 When your 30-minute tour is over, hop back in your helicopter for the short flight back to the Fox Glacier Helicopter Base. This flight was brilliant. Companies involved did everything they could to accommodate our family and the pilot Chris could not be faulted and was outstanding with our young daughter. The weather wasn and #39;t going our way but the flight was delayed and we managed the full tour with landing 2hours later. Due to the high snow the day before, we were fortunate to see a high volume of snow on the glacier. The tour was short only 30 min, but it was a fantastic activity where we stopped on the glacier itself and got to experience the majestic scenery. 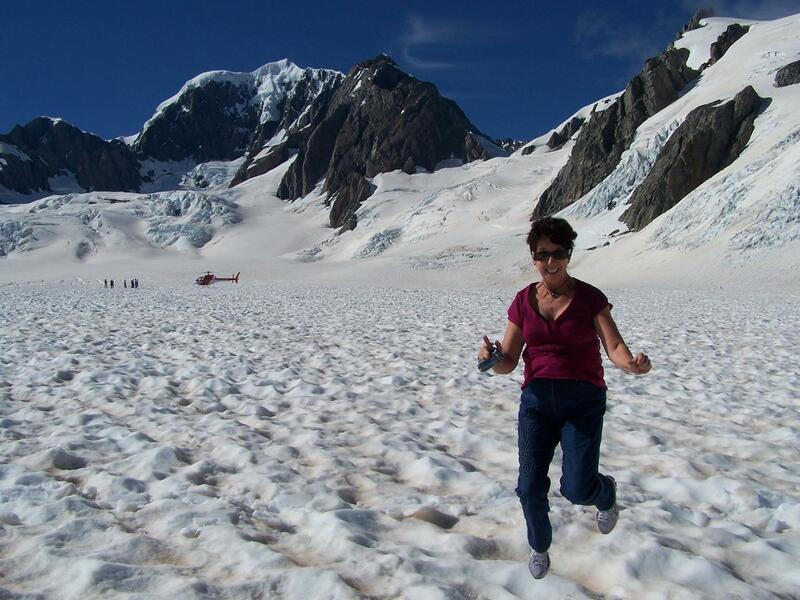 Definitely worth a try if you are to visit New Zealand's glacier. This was our first helicopter flight. It was absolutly amazing. 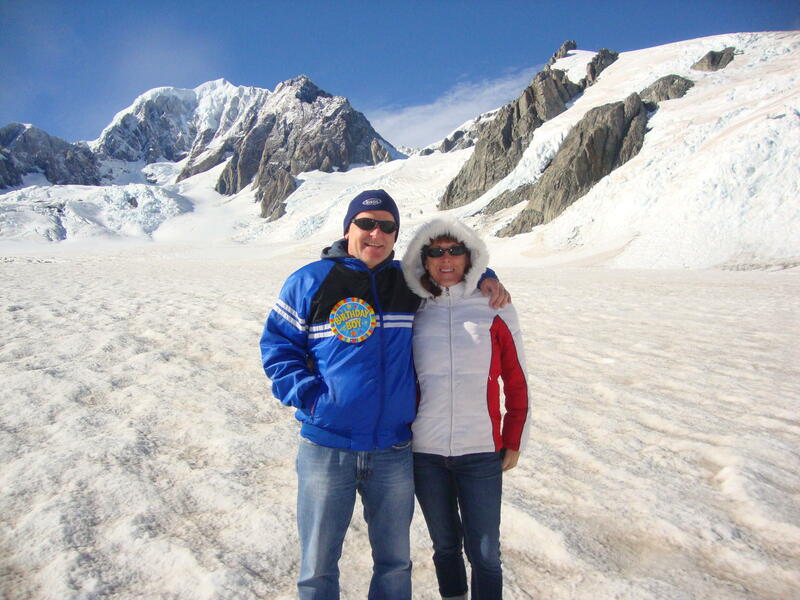 We saw it all, Mt Tasman, Mt Cook, Franz Josef Glaicer and we actually walked on Fox Glacier. I would recommend it to anyone. A must for any one travelling to NZ. Put it on your bucket list. This tour was amazing and they also changed our booking to the other town that we been on the other side of the glacierwas a GPS bad location from Here Services and we ended up on the other side 50km, now I always double check with Google maps. 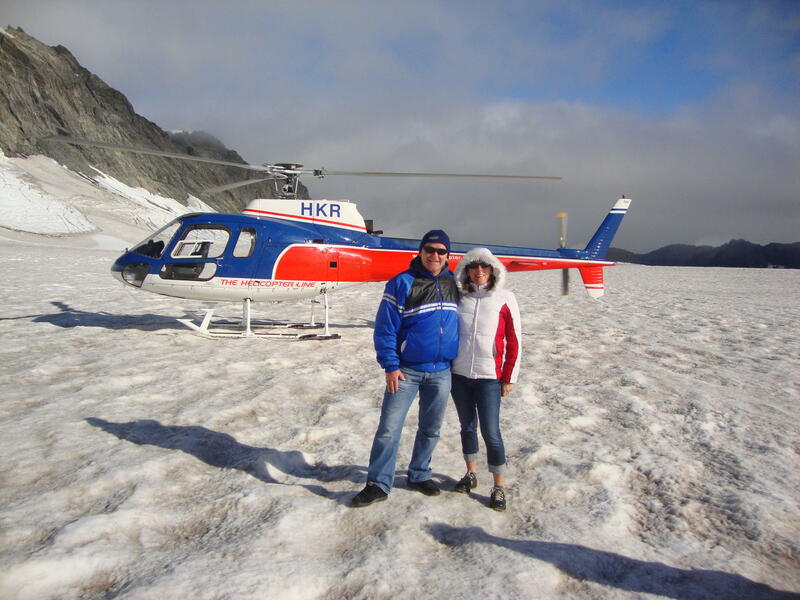 I would also go with glacier hiking but for fast pace you can use only this helicopter tour. Awesome flight, we were lucky to have clear weather which made it even better. Tour was really well organised and the pilot was great. A stunningly beautiful day up on the glaciers. Our pilot Tyson did a wonderful job of taking us up there and back, and telling us about what we were seeing. We were impressed that he didn't rush us while we were out on the glacier, and offered to take our pix. And he printed off his own pix for us to purchase at a reasonable price. Awesome trip! A wonderful experience, first class service. And the weather was perfect. Would love to do it again. The most amazing, spectacular experience! I just wanted to go again, it's not to be missed!